FARS seems to be the only news agency, reporting on this western organized aggression. – The reasons may be obvious. As Russia is ‘pulling out’, a huge regiment of Islamic terrorists, whatever they are called (names are unimportant; they are just used to confuse) found it opportune to advance from Turkey over the Syrian border, camouflaged by a dense forest, or so they thought. Does anybody think that this would be allowed to happen without Erdogan having a clear go-ahead from his US Masters? – Turkey being a NATO protected US stooge, who got her marching orders from Washington. This is the prescription and scheme for the “Syrian Peace Talks” – taking otherwise place in an ambiance and environment of extreme hostility, Geneva, Switzerland, where the Swiss news blast day in, day-out lies and negative propaganda against Russia and Syria. – What hope? These Peace Talks (sic) are a farce if there has ever been one. On Monday, 14 March, at a Kremlin meeting with Foreign Minister Sergey Lavrov and Defense Minister Sergey Shoigu, President Putin announced to the surprise of many, especially the western media, partial withdrawal of Russian military presence from Syria, effectively declaring the end to the five-and-a-half-month Russian air campaign. Before the announcement, Mr. Putin reassured the Syrian leader in a phone conversation that Russian presence in Syria will continue with a defense force at the two bases and in particular with the cutting edge S-400 defense system in place to guard against air intrusion particularly from Turkey. According to Al-Jazeera, Mr. Assad’s office confirmed the gist of the conversation, referring to the Russian ‘pull-out’ rather as a ‘scaling back’ of Russian forces. The statement clearly rejected speculations that the withdrawal decision reflected a rift between the allies, Syria and Russia. Mr. Assad said the Russian decision stressed the “successes” the two armies have achieved during fighting in Syria and restoring peace to key areas of the country. The Russian air campaign combined with the Syrian army on the ground and troops from Hezbollah and Iran have allowed Damascus to retake control over some 10,000 km2. A position that strengthens President Bashar al-Assad’s regime before the talks in Geneva. Of course, western media are propagating the decimation of ISIS and related terror groups as an US achievement. Given the continued presence of Russian troops in Syria, ‘scaling back’ is perhaps more appropriate than ‘withdrawal’. It was never clear how many Russian troops were actually in Syria. Some estimates put them between 3,000 and 6,000. Some of them will certainly stay to observe and monitor the fragile ‘cease fire’ that has been officially in place since 26 February. The timing of the Russian ‘withdrawal’ was strategically perfect, as the so-called Peace Talks in Geneva were to start on Monday, 14 March, but so far didn’t really get off the ground. Why would they? 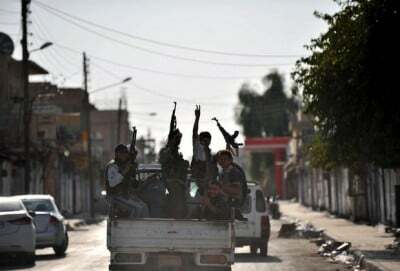 Warrying factions sitting around the same table for the first time – and with the scenario as mentioned before – large numbers of terrorists attempting to cross the Turkish-Syrian border at the time the talks were to begin, and the western media’s non-stop Putin-Assad bashing – the signals are not positive. But most importantly, Washington and its NATO allies do not want peace. They want, as they wanted from day one of the US / NATO instigated 2011 ‘civil war’, a ‘regime change’ – meaning Mr. Assad must go. This has not changed in the minds of the hawks of Washington, including Obama, who are under strong pressure from Israel – which together with the Zionist led Israeli lobby group, AIPAC, controls the US Congress and White House. ‘Regime Change’ is Washington’s target. As we know from experience around the world – they, the exceptional country and super power, will not let go. Washington’s tenacity on Syria to fall is part of their Plan for a New American Century (PNAC). The US may make believe they are ready for negotiations, but they have no intentions whatsoever, never do, to adhere to any negotiated settlement. Eventually, there are always lies and pretexts, supported by the western presstitute media to break an agreement. The planned decimation and partition of Syria is a mere continuation of what Clinton started in Yugoslavia in the 1990, as was and is the destruction and partition of Iraq and Libya. So far the US / NATO evil forces have relented on Iran which is also conditioned to fall under the PNACs objectives, but the war games haven’t ended yet. As I said many times before, the US and her western vassals will not surrender or agree to a peaceful settlement until their last breath – which we can only hope, will come soon – for the sake of humanity. To remind readers, this western initiated 5-year active war – was in fact planned since 2007 with the CIA identifying terror groups in the region that could be trained and supported as ‘opposition’ to the Bashar al-Assad regime once the trigger for war was pulled at the opportune moment. The opportune moment was the so-called Arab Spring, also planned and instigated years ahead by Washington. It engulfed the Middle East, starting in late 2010 in Tunisia, and continued in 2011 with Syria among many other Middle Eastern and North African (MENA) countries – and is ongoing. In the meantime, the 5-year Syria war has claimed close to half a million lives, and according to UNHCR, out of a population of 22.1 million, 6.5 million are internally displaced, half of whom are children, and over 3 million (some estimates say 4 million) have fled Syria for neighboring countries, mainly Turkey, Lebanon, Jordan and Iraq. At the end of 2015 almost 2 million Syrian refugees lived in Turkish refugee camps. They were part of some 4 million refugees lodged in relatively well organized camps. They started fleeing to Europe, when Turkey opened its floodgates in the fall of 2015, on orders of Washington. The refugees were to be used as a destabilizing weapon in Europe. About a million were absorbed in 2015 by Germany. Did Obama and Putin communicate before the Geneva talks? – Yes they did. Was there a bargain behind closed doors? – Perhaps so. But Vladimir Putin, the geopolitical chess player par excellence and Man of the Year, to whom humanity can be thankful that WWIII has so far been avoided – he is aware that Obama may not be trusted. The warlord number One, instigator of seven wars throughout the world and personal approver of every atrocious, illegal drone killing around the globe can certainly not be trusted ever, but must rather be despised. How must it feel in Obamas skin, knowing that he is one of the most hated men in the world, that he is a criminal, a spineless stooge of the western oligarchs, that he deserves to be judged by a Nuremberg-type tribunal, that once he leaves office he must be afraid to leave the country for fear of being arrested as a war criminal anywhere in the world? – Has his brain become so callous and insensitive that he can still sleep at night? – I often wonder, what does a man of this caliber do with the rest of his sorry life? The man who lied to the world proclaiming change from the Bush horrors, propagating “Yes we can!”, evoking tears in millions of his admirers during his inauguration ceremony in January 2009 – how can he live if he has just a grain of consciousness left? Given the ‘ceasefire’ the Geneva talks which require friendly faces by the Washington handlers, did Washington make some obfuscated agreements with Turkey, or even blackmailed sultan Recep Erdogan and the Saudis into ‘collaborating’, while the US military and NATO stay quiet for a while? – A make-believe propaganda stunt for the Geneva “Peace Negotiations”? Turkey being a NATO country must follow the Master’s orders, or else. Turkey has spent billions in arming and supporting ISIS and Co. and in fighting the Syrian army, in setting up military bases in Syria’s Turkmenistan. They have also made billions by stealing Iraq’s and Syria’s petrol, selling it to Israel and other rogue states. Ironically, this ‘official’ Russian pull-out also coincides with Ankara’s ‘unofficial’ invasion of Northern Syria; and this just on the eve of the Geneva peace talks in which both Russia and Turkey are participating in. This looks and sounds like a “Theater of the Absurd”. However, Moscow’s withdrawal at the time Turkey invades Syria, might be a smart move to avoid a confrontation. Under NATO’s collective security rule (Article 5) an ‘attack’ on one NATO country equals an attack on all NATO members. And Turkey might have just been in Russia’s way, had Putin not pulled out at the right time his diplomatic joker, possible sidelining another US / NATO WWIII provocation. The Saudis are in a similar position. They spent billions in support for the ‘terrorists’, called ‘rebels’ by the western propaganda liars. While the US’s make-believe display of good-will in Geneva, their semi-clandestine Plan B envisages after a short regrouping of the terror forces – that Ankara’s and Riyadh’s army will play proxy for US – NATO, attacking Syria’s army in an attempt to retake the lost territory – and always, always in an attempt to topple the Bashar al-Assad regime. This would be a new provocation for Russia to intervene – Putin has not ruled out a come-back – with the US / NATO watching, just ready to launch an attack on Russia – meaning an attack on the world – WWIII. No worries, such a move to the detriment of humanity would be well supported and sold as justified by the western presstitute media, to the point that the western populace would want even more US / NATO aggression on Russia and by then even on China to defend their western comfort and ‘freedom’ from the eastern monsters. They cannot imagine that their paradise will eventually go up in flames – and they with it. And again, peace will not happen, because peace is unaffordable by the Masters of the Universe whose economies depend on wars fueled by their horrendous and horrendously lucrative weapons industry.